Collaborate. Consult. Connect. 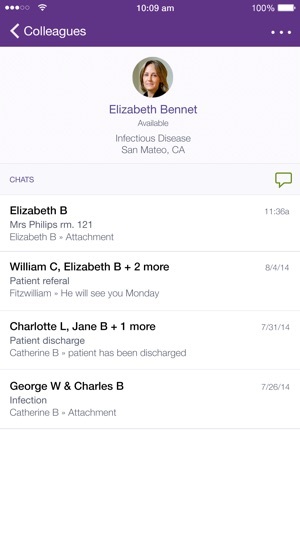 Introducing athenaText, the free, secure text messaging service designed especially for health care providers. 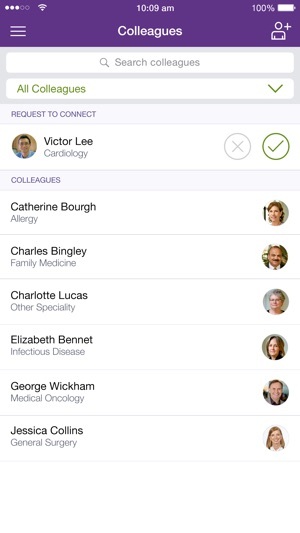 Exchange information instantly and collaborate easily across care teams. 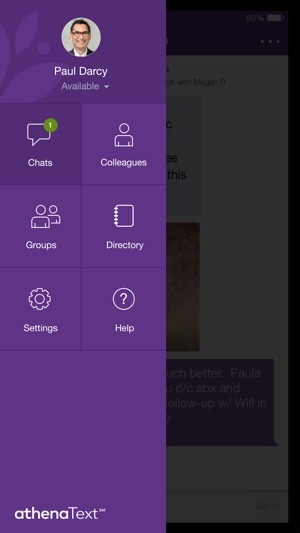 Share texts, images, and medication information with your colleagues. Because athenaText enables HIPAA-compliant messaging, there's no need to be cryptic to avoid revealing PHI. Communicate clearly and share texts and images with the confidence that your communications are secure. 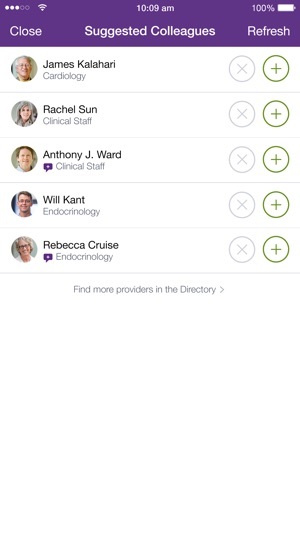 Tap a network of HCPs across the country, courtesy of Epocrates, the #1 medical app trusted by 1 out of 2 US physicians. Invite HCPs to join you in secure conversations. 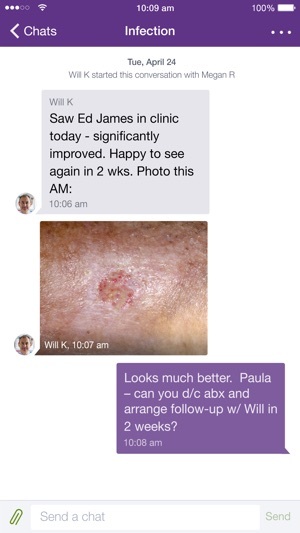 Annotate your messages with information from athenaText's built-in drug reference, provided by Epocrates. athenaText for Apple Watch helps you stay on top of the day's messages. View new notifications and a summary of recent messages on Apple Watch. 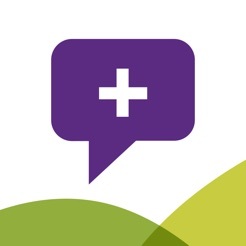 athenaText is also built into athenahealth's desktop services athenaClinicals (EHR) and athenaCoordinator (order transmission & care collaboration). At your clinic or on the go, secure communication is just a tap away. Come on Athena! Every major medical reference app including UpToDate, Sanford Guide, and Epic’s Haiku was up and ready for OS12, but you can’t handle it? This on top of a glitchy EHR.... step it up! We all use iPhones out here.